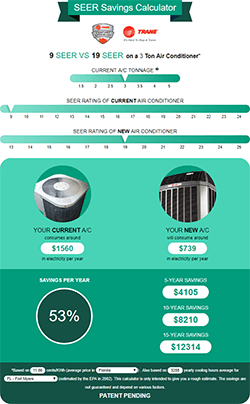 Ductless air conditioners (also known as mini-split air conditioners) are some of the most versatile and energy efficient heating and cooling systems available. They provide targeted comfort control to a single room or to your entire home. A ductless system can save you up to 30% in cooling costs compared to a ducted system. Like central air conditioners, ductless systems have two main components – an indoor unit connected to an outdoor unit. However, they transport air without the use of ducts. Each indoor unit provides cooling (or even heating) to a single room for maximum control and efficiency. 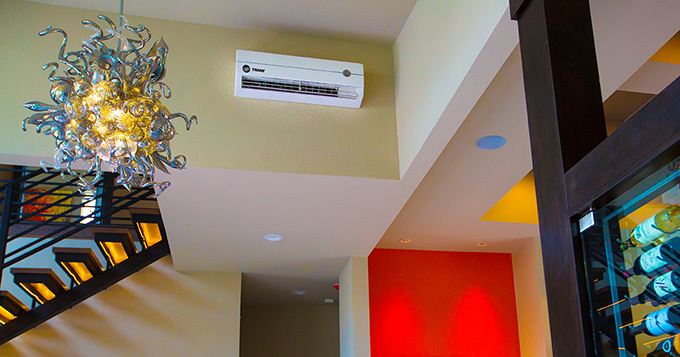 There are different types of ductless units available that can be mounted to the wall, the ceiling or near the floor. The units can be preset to run on a schedule or operated via remote control. Enclosed lanais, room additions, garage workshops, wine rooms – any part of your home where adding or extending ductwork is either not possible, too costly, or too invasive. As a supplement your existing central air conditioner. If you melt in the kitchen with the oven on or swelter while getting ready in the bathroom, a ductless system can help you eliminate these “hot spots” in your home. In buildings without existing ductwork or central air conditioning (see Multi-Splits). Read our blog post to learn more about ductless air conditioners. Your home deserves the best heating and cooling products available. As your local Trane Comfort Specialist, we offer the following models of high-quality Trane mini-split, multi-split, and VRF ductless systems. 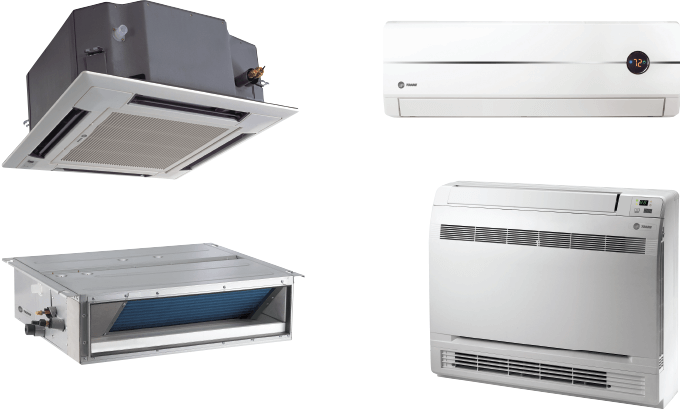 Mini-split systems, also known as single-zone systems, are a type of ductless system consisting of an outdoor unit connected to a single indoor unit. A mini-split provides energy efficient cooling or heating comfort to a single room or “zone”. 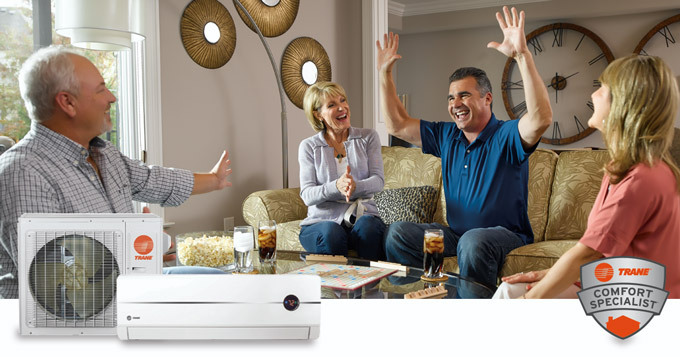 Multi-split systems, also known as multi-zone systems, can have up to five indoor units connected to one outdoor unit. Each indoor unit is located in a separate room or “zone”, allowing you to control the temperature in each zone individually. This is an excellent choice for buildings without central AC or existing ductwork. Need even more temperature control? Another type of multi-split system, called Variable Refrigerant Flow (VRF), enables the connected indoor units to heat one room and cool another at the same time. VRF systems do require a minimal amount of ductwork. If any part of your Trane ductless system fails because of a manufacturing defect under normal use and maintenance within the limited warranty period, Trane will furnish the required replacement part. If the part that fails is the compressor, outdoor coil or indoor coil, Trane will replace the entire unit. Under the warranty, you are only responsible for shipping and handling charges, any related service labor, diagnosis calls, refrigerant or other service charges related to replacing the warranty part. Why Choose Us to Install or Service Your Ductless System? 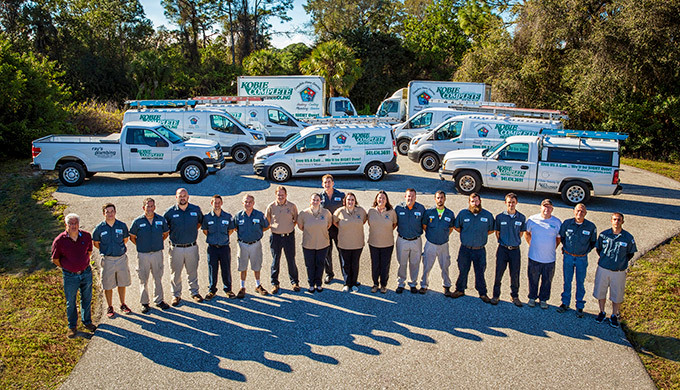 We are a locally owned and operated company, providing our customers with premium air conditioning service since 2002. Our certified technicians provide expert installation, maintenance and repairs for all types of residential and commercial HVAC systems. Trane Comfort Specialist, meaning that we have consistently earned over a 95% customer satisfaction rating and achieved a referral rate exceeding 90%. We’re members local Chambers of Commerce, actively sponsoring and supporting local events and charities. Do you live in Sarasota or Charlotte County? Kobie Complete’s service area spans from Lakewood Ranch and Sarasota to Punta Gorda. Fill out the form below or call us at (941) 474-3691 to get a free, no-obligation quote on a new ductless system installation.